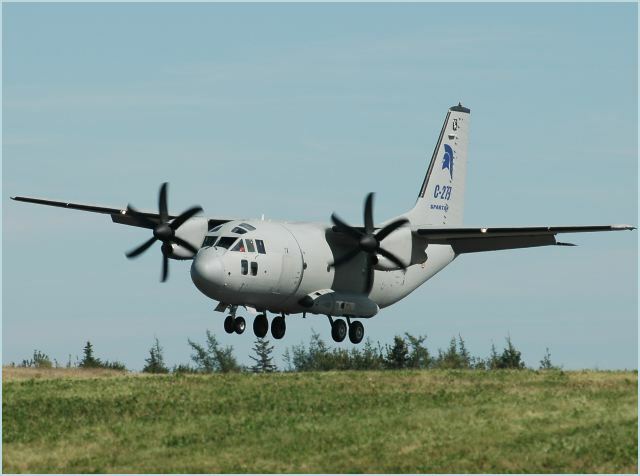 Alenia Aermacchi signs contract with the Peruvian Air Force for two C-27J Spartan transport aircraft. The C-27J—known as the only true military transport aircraft of its category available on the market—was selected by the Fuerza Aerea del Perù because of its proven capability to operate safely, efficiently, and at competitive costs in all operational and environmental conditions in Peru, including in the Andes. These are missions that are impossible to be completed at the same cost and effectiveness by the competitors. Giuseppe Giordo, Alenia Aermacchi CEO, said: “The choice by the Peruvian MoD is a confirmation that, when an air force has a stringent airlift requirement in terms of performance and capability, the Spartan is the only solution able to guarantee an excellent value for money”. During the operational evaluation run in Peru before the selection, the C-27J demonstrated its capability to perform a variety of missions including transport of civilians, troops, materials and medicines, logistical re-supply, MEDEVAC, airdrop operations, search and rescue (SAR), humanitarian assistance and operations in support of homeland security and civil protection, with the capability to operate on a large number of airfields where its competitor is unable to land. Other than Peru, the Spartan has already been ordered by the air forces of Italy, Greece, Bulgaria, Lithuania, Romania, Morocco, Mexico, United States, Australia and by an undisclosed African country. In total, 76 aircraft have been ordered.